I want to live in Vermillion Sands. I want to wake up in the morning and look out my bedroom window at the hypnotic world J.G. Ballard has created. A collection of short stories, Vermillion Sands is set, mostly, in a Palm Springs-type vacation resort. There are two kinds of people there: the rich and the people who serve the rich. More importantly, though, the resort is a way for Ballard – in these stories – to explore the artistic process via a whole plethora of new technologies, from cloud sculpting to sound jewelry and more. 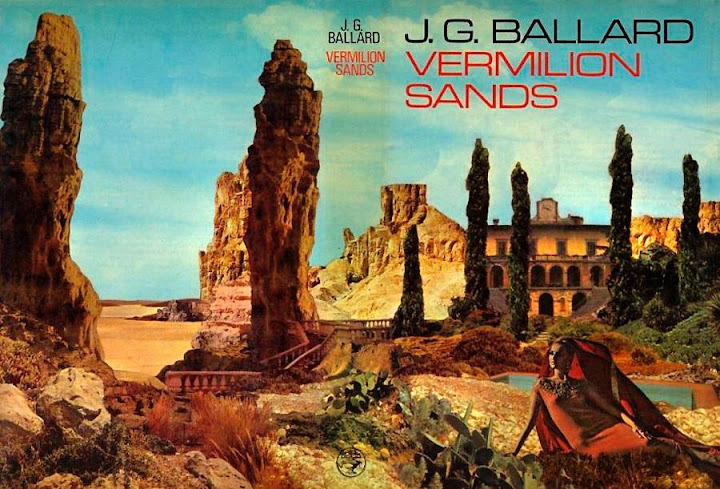 But Ballard is Ballard, so just writing stories about a resort, the people enjoying it or working there, or even the arts, is not enough: each of the stories in Vermillion Sands is also laced with his trademark psychological depth and lyrical subtlety. Sure, the stories might not be as subversively perverse, emotionally enigmatic, psychedelically strange, or horrifically languid as some of his other books and stories, but these light and almost funny tales are still J.G. Ballard – and that means they will always be as a brilliant and elusive as the landscape outside of Vermillion Sands.